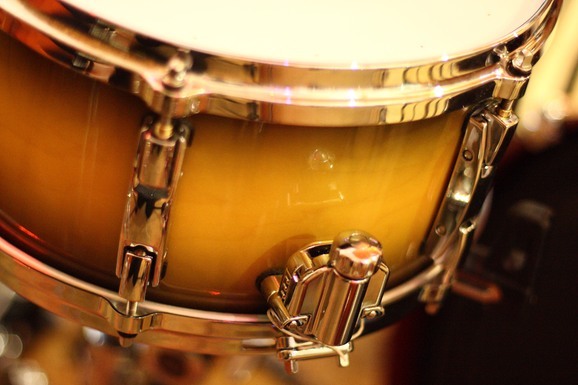 13-inch (6.5-inch deep) multi-ply multi-wood snare drum with a soft melodic sound, naturally panned to the right side a bit. 3 instrument zones sampled (in non-damped and damped drum head variants): Center (usual snare drum hit), Rim Shot (second usual snare drum hit), Side Stick. Fully acoustical samples, no dynamics processing nor reverb applied, relative loudness preserved.